Rivalry renewed, just this time on a Tuesday afternoon in the Bronx. Despite the weird start time for the game the New York Yankees and the Boston Red Sox will continue their rivalry this week as the 2018 season begins to wind down. 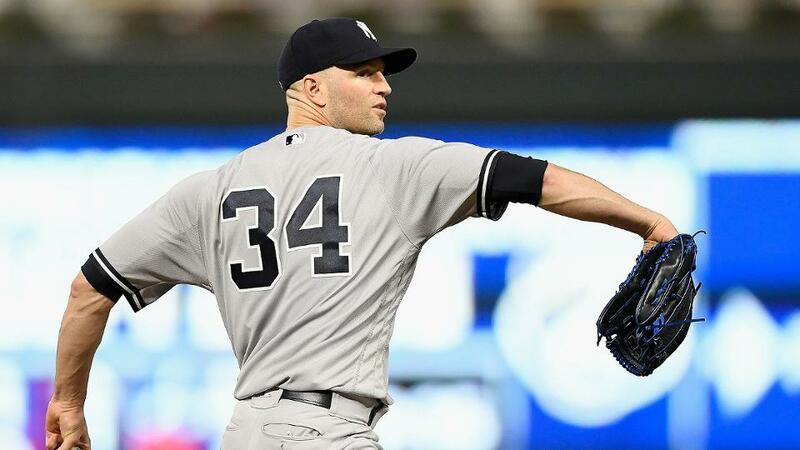 In the opener of the three-game set this week the Yankees will send JA Happ out to the mound to face off with Nathan Eovaldi for the Red Sox. Rivalry renewed, so let’s get to it here in the Bronx. Happ has possibly been the Yankees most reliable starters of the second half and since his acquisition in late July. Happ has made eight starts as a Yankee and has posted a 6-0 record with a 2.70 ERA with the Yankees winning seven of those eight games. Eovaldi has a great record inside Yankee Stadium throughout his career posting a 10-5 record with a 3.85 ERA. Eovaldi also dominated the Yankees in his last start inside Fenway Park as well allowing no runs on three hits in eight innings of work back on August 4. The game will be played at 1:05 pm ET, not a typo, inside Yankee Stadium and can be seen on WPIX Channel 11 in New York, NESN in Boston, MLB Network nationally and on Facebook Watch anywhere in the world. You can also follow along with the game on MLB TV, with the MLB At-Bat app and by tuning into the Yankees radio broadcast on WFAN with John Sterling and Suzyn Waldman. Enjoy the game, there’s no excuse not to follow along today in some capacity, and go Yankees! !